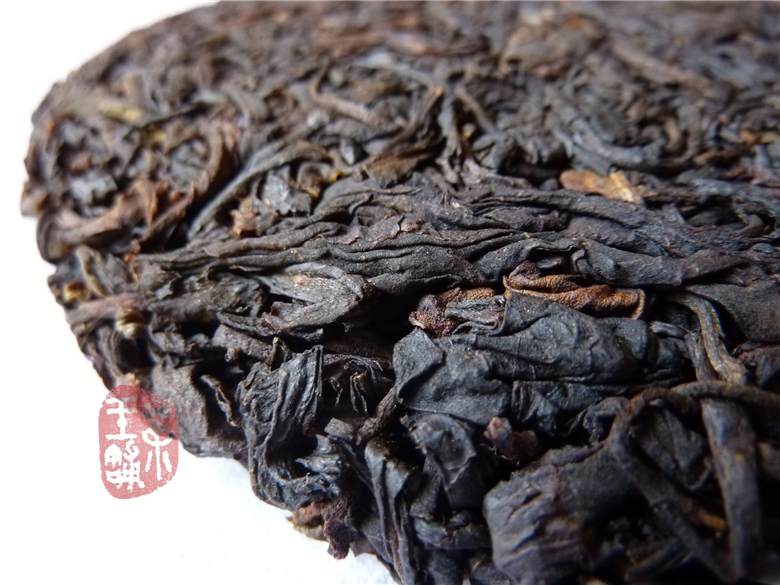 This purple-bud (ZiYa,紫芽) puerh cake is made from purple varietal arbor tea trees from Ximeng county - southwest Yunnan where the Wa Nationality lives in the southern deep mountains. 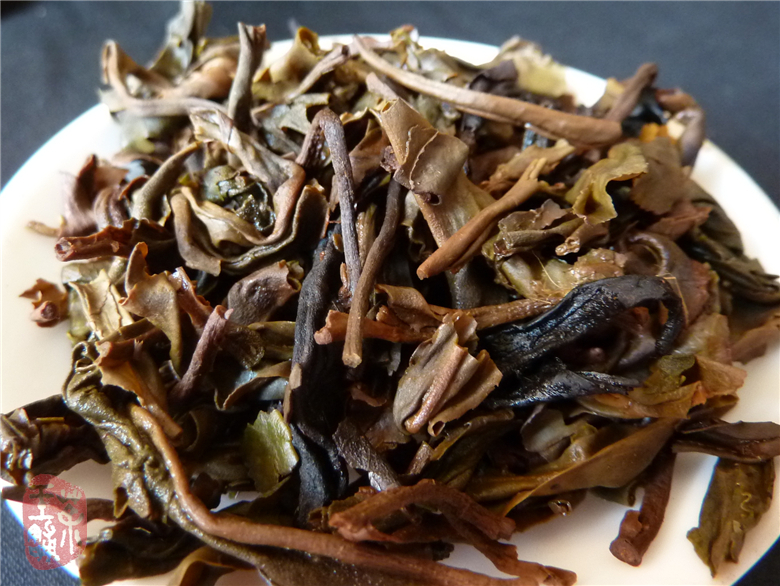 This tea is called three color tea. 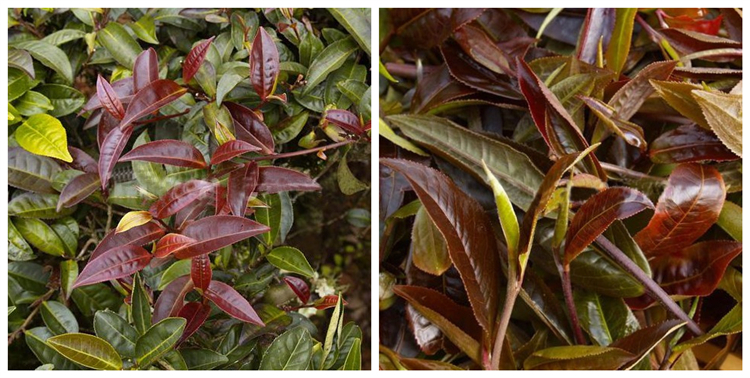 Fresh buds are purple, dried tea is dark and shiny and the infused tea leaves are green. This cake is made not only from buds, but have leaves and buds. 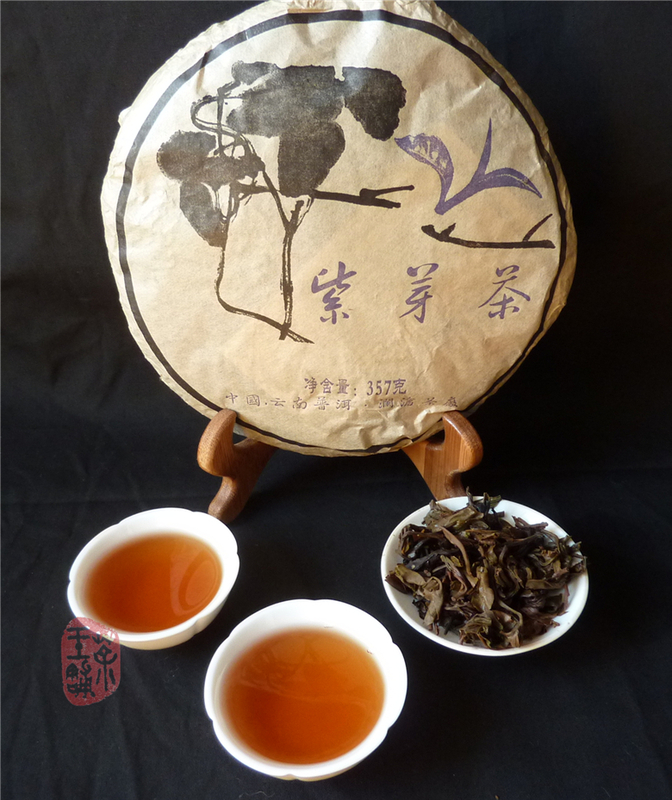 The liquor is bright red and has unique flavor, in Chinese called "hua qing wei"(花青味).